Beat the Streets has had an incredibly successful start to the 2017-18 school year! We are on track to have over 500 Rhode Island at-risk youth participate in our sports based youth development programming where they increase their weekly physical activity, receive academic support, make new friends, learn perseverance, and join a community committed to positively altering the life trajectory. 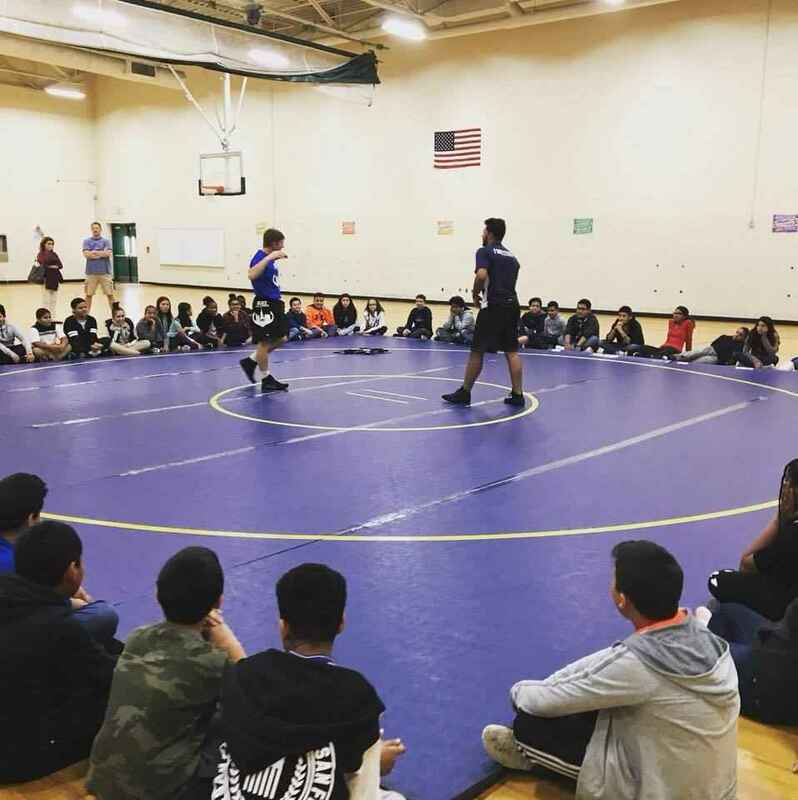 Now in our 5th season of after-school programming, we offer co-educational wrestling at 9 middle schools in Providence, 2 middle schools in Central Falls, and 2 middle schools in Pawtucket. 4 of these teams have rosters of 50+ student-athletes! Having successfully accomplished the Beat the Streets founding mission (a co-educational wrestling team in every Providence Public Middle School) this past year, the organization piloted two after-school wrestling programs this fall at the Pleasantview Recreation Center and the Madeline Rogers Recreation Center to introduce in our development programming to students (and families) at a younger age. And yet, maybe most exciting about the 2017/18 school year is the reinstatement of wrestling at Central High in Providence. In 2004, the wrestling program was dropped due to lack of participation. Now a little over a decade later, Beat the Streets has generated so much demand through our middle school alums that the Central High Knights are back and ready to make some noise for the city of Providence! It is only through the generosity of others that we are capable of changing the lives of underprivileged youth. Please consider making a donation towards our mission to use co-educational wrestling as a vehicle for youth development in the classroom and in life. ALL OF OUR PROGRAMS ARE OFFERED AT NO COST TO STUDENTS/FAMILIES. THIS INCLUDES ALL EQUIPMENT NEEDED TO PARTICIPATE (WRESTLING MATS, WRESTLING SHOES, COMPETITION UNIFORMS, ETC. ), ALL EQUIPMENT REQUIRED TO KEEP STUDENTS SAFE (MAT TAPE, MAT CLEANING SUPPLIES ETC. ), AND ALL EXPENSES TOWARDS TRAVELING AND COMPETING. To support a strong year of work! Great Program! Keep up the good work. Excited by the work you're doing! Thrilled to be able to support an organization doing so much good!! Wrestling gave me purpose and direction as a kid, and I want others to have the same opportunity that I had. Keep working hard to make a positive impact on young lives.